Macedonia, a small kingdom in northern Greece, established a growing empire from 359 B.C. to 323 B.C. through the reign of several kings. With Alexander the Great, Macedonia would come to conquer many lands and usher in the Hellenistic age in the region. 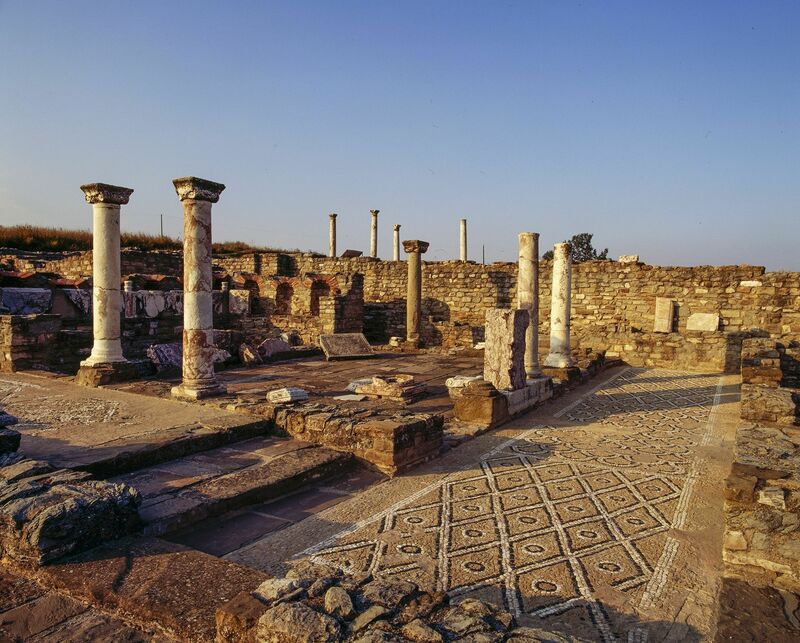 Archaeologists have uncovered some beautiful mosaic floors in the house of Partenius in Stobi, an archaeological site in Macedonia that dates to the 2nd century, C.E. Ancient Macedonia was a small kingdom located in northern Greece. The Mackednoi (Mahk-ed-noy) tribe first inhabited the area and gave the country its name. According to the ancient historian, Herodotus, they were the first people to call themselves “hellenes.” The term Hellenistic later became synonymous with all things Greek. However, the Mackednoi tribe had little to do with southern Greece for centuries. The history of the Macedonian monarchy began in 808 B.C.E. with Caranus, who was the first known king of Macedonia. In 359 B.C.E., when King Phillip II became the ruler, he united the southern Greek city-states with the north, and brought them all under Macedonian rule. King Phillip II improved his army and began to devise plans to conquer other lands in the Mediterranean region. He died before he was able to put his plans into action. His son Alexander, later known as Alexander the Great, was able to expand Macedonia. In 336 B.C.E. Alexander the Great became king. Throughout his reign, he was able to expand the empire to Asia and India. Alexander was a skilled general who did not lose a single battle. After his death in 323 B.C.E., the empire was divided by four of his top generals. Over the next century, these territories experienced a series of internal power struggles and civil wars, as different factions conflicted with each other for control of these lands. Ultimately Rome took over the Macedonian lands and the Macedonian kingdom ceased to exist. By 146 B.C.E., Macedonia became a Roman province. By 65 B.C.E., Rome conquered the Asian portion of what was the Macedonian kingdom. In Egypt, Macedonian rulers still existed, in 30 B.C.E., when Cleopatra VII was defeated by Rome, which ended any reign by Macedonian rulers. Macedonia still exists today. It is part of the Macedonian region of northern Greece. Nearly two-thirds of the population there identify themselves as Macedonians, although the population is quite diverse. division of a country larger than a town or county.